The reason I worked on this recipe was to help out a dear friend.Her son loves my roasted tomato sauce with his spaghetti and pasta.So much so that he started eating this on his own by 7 months of age and on his fussy days this is my friend’s goto meal for him. Only catch being that the sauce takes prior planning and at-least 1 hour of oven time. 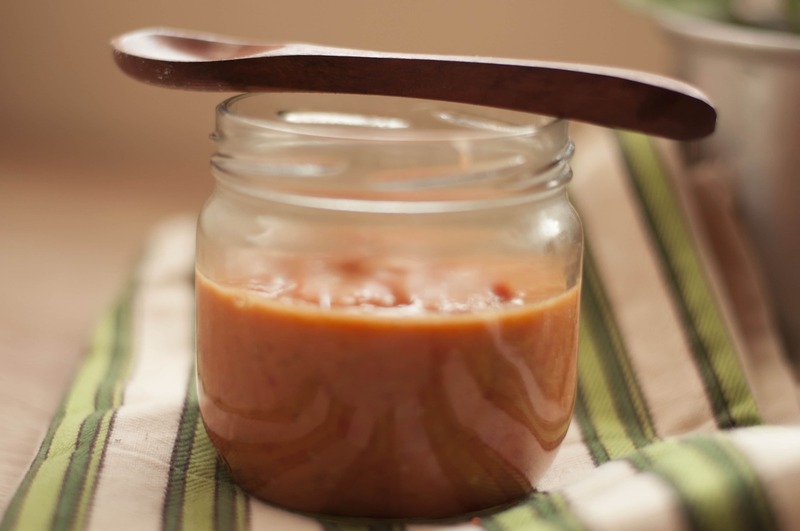 I love the roasted tomato sauce to bits and this sauce doesn’t have the same deep flavour that comes by slow roasting the tomatoes, but this is way more quick and easy to make and soooooo much better than the bottled nonsense. Quick Cherry Tomato Sauce takes just 15 minute- start to finish and I am being conservative here.By the time your pasta gets ready, this sauce will be good to go. I am sure you will find the cream laden recipe version’s of this sauce on the internet but if you keep your ingredients fresh I don’t feel the need of any added cream(aka calories).But if you are feeling especially lucky and can afford to put on a few pounds, then by any means be my guest and add a glug of fresh cream to it before giving it a whirl in your food processor. I have made a video version of the sauce.Hope it helps! Heat your flat pan on the medium flame. Add the tomatoes to the dry pan.Whirl them around for about 5-10 minutes till the tomato start getting charred and bursting. Squish the tomatoes with a spoon.Add Garlic cloves. Add butter.Cook for another 10 minutes till the tomatoes disintegrate and look squishy. Once it has cooled puree it into a quick sauce.